As you may know, many will be celebrating a holiday on Tuesday. I’m not referring to Halloween, but rather a different day. This day is known as Reformation Day. This day celebrates when Martin Luther nailed his 95 Thesis on the door in Wittenberg. 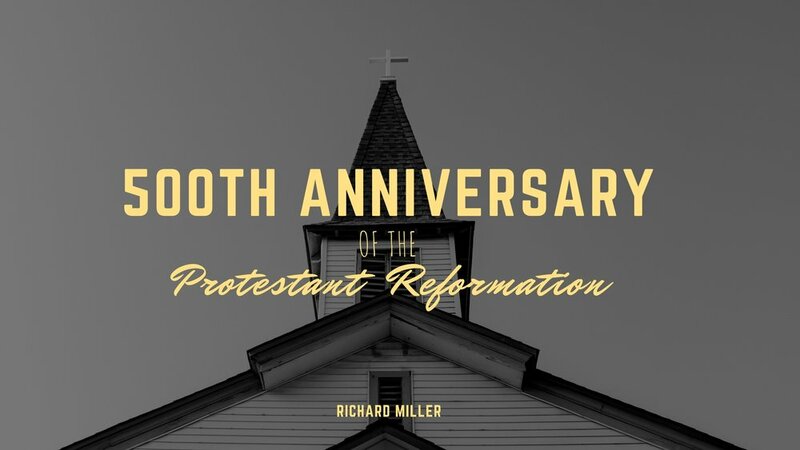 His theses consisted of objections to various practices of the Catholic Church which were intended to be discussion points among scholarly men, but it eventually sparked what we know in history as The Protestant Reformation. For a great resource on this, I would recommend Erwin Lutzer’s Rescuing The Gospel. This moment was important, as some of the truths that are foundational to our Christian beliefs were being distorted. While many points of doctrine were affirmed through this movement, there were five critical beliefs that were attested to by the reformers. We call these the Five Solas (Sola is Latin for Alone). To summarize, we believe that we are saved by Christ alone, by His grace alone, through faith in Him alone, according to what scripture says alone, all of this to the glory of God alone. Luther wasn’t the only person who believed these things. In 1415, a Bohemian man named John Huss was burned at the stake by the Catholic Church for sharing similar views that Luther later adopted. The name “Huss”, in his language means goose, and why I’m telling you this will make sense shortly. Just like Luther would later would believe, Huss felt that it was scripture only which governs our lives, not human authority. It is reported, that while being burned at the stake, Huss said something to the effect of, “You may cook this Goose, but in 100 years there will come a Swan you will not be able to silence.” 102 years later, Martin Luther nailed his thesis to the door in Wittenburg. Today, we do not celebrate Martin Luther to exalt him, but rather remember these three things. Firstly, we remember that God’s purpose cannot be thwarted. His message of reconciliation to fallen mankind, through His Son, will not be forgotten. Secondly, the truths that came out of the Protestant Reformation were not developed in the 16th century, but were the doctrines that came from the mouth of God. Thirdly, we do not celebrate Martin Luther as the swan that ushered in a new era of spirituality, but rather we celebrate the Holy Spirit of God who was the wind beneath Luther’s wings. The Lord changed Luther’s heart, and allowed him to fly to seemingly new theological heights. Read more articles about the 5 Solas from CalvaryChapel.com here.